Blogs…..do they do more harm than good? I have been doing a lot of thinking about the blog recently, and I mean really thinking! I have even had thoughts about packing it all in and moving on to something a little more ‘safe’. Why the sudden pang of worry? Im sure that you all know about ‘The Project’ by now (if you are a new reader, click here to have a look at what all the fuss is about). It’s little over a month away before I head off to the US to experience first hand what a Fire based EMS system is like, and its only a couple of weeks after that when Happy Medic comes to see what the NHS is really like when he comes to work alongside me in the North East of England. This is quite frankly a huge opportunity for HM, me and also both of our services to learn from each other. There may well be some things that come up which actually end up having a direct benefit for patient care which would be absolutely fantastic. So if it’s all going well, why am I worrying about the blog? I have explained in my disclaimer that I change all of the details of the patient episode to protect the confidentiality of the patient and their family. Maybe I need to make this a permanent fixture to the widgets on the side of my blog so that all visitors know that I value and respect the confidentiality of my patients. In fact I would go so far to say that it is the most important consideration that I have when writing posts. If I am in any way not 100% sure about a post, it doesnt go up….Full Stop. Sometimes even my OCD kicks in and I end up taking some posts down which I have already put up but then suddenly think, what if…..?. Even these posts that I have taken down in the past are completely safe to post, but if I dont feel comfortable with them, they are gone. Im sure most blog readers already know this, but just in case some of you havent realised yet, If I am writing about a 76 yr old female, last week, in my area, who had fallen outside, after having chest pain, and ended up having an MI (heart attack), then in reality, the patient was more than likely a 40 yr old man who woke up in the middle of the night with chest pain and having an MI, who was way out of my area. It’s all about fictionalising the true event so that no one could come back to me and say that I had broken the patients confidence. The one part I dont make up or change in any way however, is my feelings, thoughts, opinions, and general musings. I assume that comes across in my writing? I am obviously a bit of a softie at times, but thats how the job gets you from time to time!! 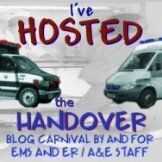 Can my blog do any harm? I would categorically state NO to that one. I am more than aware that if I mess up on my blog, If I write something that can take my service into disrepute, or if I obviously break patient confidentiality, I will be disciplined and quite possibly lose my job. That sometimes makes me panic a bit and thats usually when I think about if it is worth the risk or not? That same concern however, also keeps me constantly reviewing what I write and how I write it and will ultimately keep my blog safe for everyone to enjoy and hopefully learn from. Can my blog do any good? Just look at The Project for a start, never mind all the political shenanigans in the USA with the argument between privatised and socialised health care, because of this blog and Happy Medics blog, we are going to explore the positives and negatives of both sides….on an operational level….No politics, just two paramedics comparing how we actually deliver care at the point of patient contact. It was a blow to lose the BBC documentary, that was not down to anything that either I or Happy Medic could do anything about, it was out of our hands and we just had to watch it slip away, however, there is other opportunities presenting themselves as we get closer to the date. But you can do your bit too. It is our goal to get this experience out there. We want as many people to come along on the journey with us as we can. What is the point of doing something like this, if it only benefits Happy Medic and I. This could potentially be a starting point for real change, but the discussion needs to be bigger than our two blogs. If you are reading this and you write a blog, or if you are reading this and you read and comment on others blogs, pass the word around. Whilst I am in the US, I will be posting my thoughts and observations every night, along with a little video diary. I will also have a dedicated Flickr photo feed for the project. Happy Medic will also be posting whilst I am there, then in more depth when he comes over here. I want you all to come along with us, share in the experience, and discuss what we find discover about each others systems. If there is any way yo think you can help with promoting ‘The Project’ to get it out there, please let me know either via email or in the comments. Lets try and make this something special!! I am not a blogger nor usually an avid reader of blogs. I don’t follow you because of the patients, though some of them are mind-blowing. It is your thoughts and responses that make the story, but it also about contact to know that somebody does something amazing and positive day after day. Even when it’s hard, even though sometimes it is frustrating; your passion is what brings me back post after post. Well one little act of good is that you (and a few other bloggers) helped me decide that a paramedics life is hopefully for me….I’m currently applying to a uni!! I agree with an earlier post; the identity of the patient is totally irrelevant. I love reading about them but could care less to actually be able to identify a specific individual walking down the street. It is a shame that things have progressed to the point that HIPPA and other regulations have made people be remove informative and educational opportunities. Please continue the great work. It is a pleasure to delve into the world of UK EMS. Thank you!